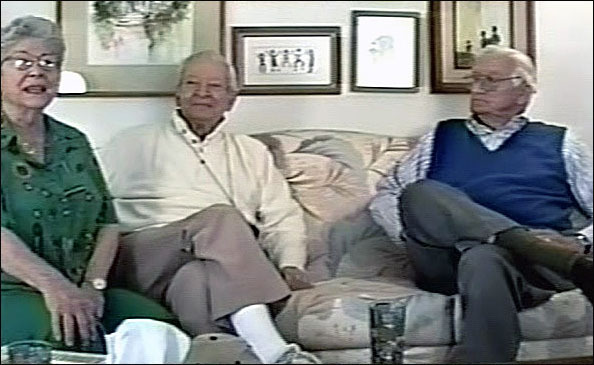 Martha Sigall (left) with Maurice Noble (center) and Robert Givens (right). When I asked The Animation Guild if they could find the video interviews that were done for the Golden Awards Banquets, I was not entirely prepared for what I got. Not only did Office Manager Lyn Mantta hand over the banquet and interview tapes I’ve been posting here, she also turned over several other videos I was not aware of. Main among them was a series of VHS tapes labeled “Tales from Termite Terrace and Other Tooneries,” each featuring the names of two animation artists. When I gave them to Jerry Beck, he realized these were from a project done for the Guild by Martha Sigall, and which predated the writing of her book, Living Life Inside the Lines: Tales from the Golden Age of Animation. These are basically rather lengthy interviews, wherein Sigall does an on-camera introduction, then goes off screen. Thereafter, she and husband Sol pose questions, and sometimes the two principals ask each other questions. The format is rather loose, perhaps a bit too loose at times, but what the subjects say is often interesting, to say the least. 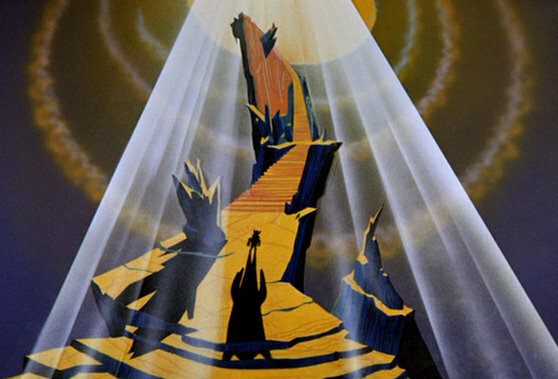 I will be posting these videos, accompanied by with some brief commentary, in chronological order beginning with the earliest one, featuring animation legends Maurice James Noble and Robert Givens. Two additional people, only identified as Betty and Todd, also act as interlocutors on the tape. Maurice Noble is best known for his work with Chuck Jones on such films as What’s Opera Doc?, The Dot and the Line and How the Grinch Stole Christmas. 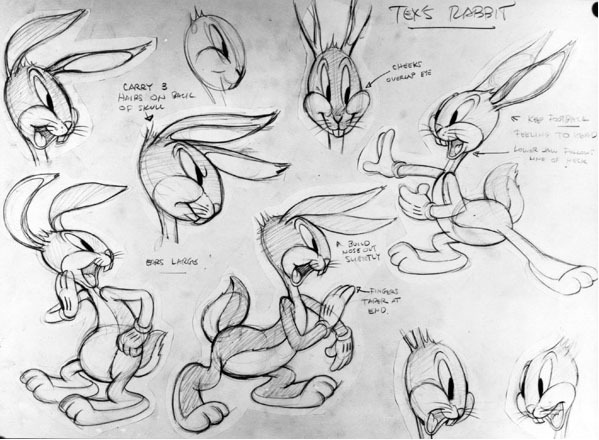 Givens also worked at Termite Terrace, under both Jones and Avery (for whom he redesigned Bugs Bunny for A Wild Hare); however, he became best known as a layout artist for various studios, including UPA, Hanna-Barbera, DePatie-Freleng, Film Roman and Filmation, as well as and Warner Bros. and Chuck Jones. The careers of both men have been well documented elsewhere, but interesting tidbits abound. Both share their experiences starting at Disney in the 1930s. Noble notes that the main reason he took a job at Disney’s Background Department was that he got a $10.00 a month raise; he previously was “designing stuff” at Robinson’s Department Store. Givens chats a bit more extensively on his pre-animation career doing pictorial maps for a local newspaper and helping Charlie Plumb on one of his comic strips. (Plumb drew the Ella Cinders and Chris Crusty strips.) He used to go to Disney to visit his former high school classmate, Hardie Gramatky (creator of Little Toot), which led him to be hired as an inbetweener. Noble and Givens discuss their attitude towards working at Disney, which is mostly positive. Noble does go into some of the reasons he joined the picket line during the 1941 Disney strike. His grievances were not so much personal (he was making $50.00 a week at the time of the walkout), but a reaction against the inequities he saw in the wages between star animators and lower echelon artists; he noted that some were forced to live in “shacks” with other Disney people just to get by. He was let go after the strike, which he says was a blessing, as it enabled him to become his own man, artistically speaking. The pair pepper the interview with several interesting anecdotes, including how Givens helped come up with the Minah Bird character, how Bob Clampett got out of his Warner Bros. contract and the problems Mel Blanc had in getting hired there. Givens also talks about a near fatal bus accident which happened on a trip to Big Bear with all of Schlesinger’s top talents on board. In addition, the two muse about the current state of the industry and provide other insights and comments. The interview video has now been uploaded to You Tube, split into two parts – both are embed below. The first one is 45 minutes; the second hour picks up where the first once left off. Enjoy. Next week: Bill Melendez and Bill Littlejohn. Amazing how Bob Givens is still alive and almost 100 years old. Bob Givens also did layouts for Robert McKimson’s unit prior to the 1953 temporary shutdown of the WB cartoon studio – he did some outstanding work for McKimson after Cornett Wood left.